Braden Merritt is Director of Investor Relations of Humphreys Capital. In this role, he communicates fund strategy and performance, coordinates fund offering materials and investor correspondence, and reports to the Investment Committee. Braden is President of the Oklahoma City Chapter of the United States Naval Academy Alumni Association and member of The Downtown Club of Oklahoma City. Braden is a 7-year combat veteran who began his career as a reconnaissance officer in the United States Marine Corps, where he deployed to Iraq, Afghanistan, and at sea with the U.S. Fifth Fleet. In 2013 Braden attended graduate school before transitioning into management consulting with The Boston Consulting Group, where he focused on strategic growth across diverse industries. He later served as a regional program manager for Google Fiber, spanning five markets, improving the efficiency, accuracy, and scalability of operating cost management and capital expense reporting in a startup environment. Braden joined Humphreys Capital in 2017. 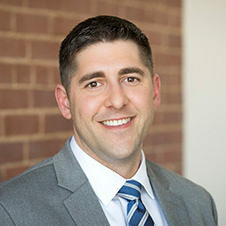 Braden earned a Master of Business Administration from the University of Oklahoma and a Master of Petroleum Economics and Management from the French Institute of Petroleum in 2014 and a Bachelor of Science in International Relations from the United States Naval Academy in 2006. He and his wife, Alissa, have four children and reside in Edmond, Oklahoma.